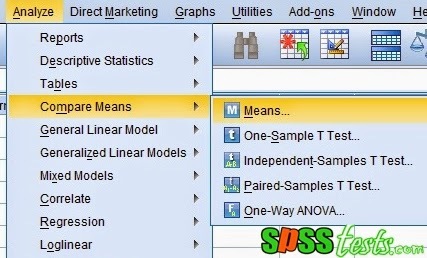 Step By Step to Test Linearity Using SPSS | Linearity test aims to determine the relationship between independent variables and the dependent variable is linear or not. The linearity test is a requirement in the correlation and linear regression analysis. Good research in the regression model there should be a linear relationship between the free variable and dependent variable. If the value sig. Deviation from Linearity> 0.05, then the relationship between the independent variables are linearly dependent. If the value sig. Deviation from Linearity <0.05, then the relationship between independent variables with the dependent is not linear. A company manager wants to know whether there is a linear relationship between competence with Employee Performance. For the manager of the collected data Competence and Performance of 40 samples of employees. The research data as shown below. 1. Turn on the SPSS program and select the Variable View, next, in the Name write Competency and Performance. Ignore the other options. 2. 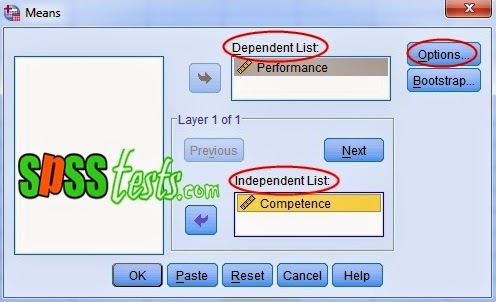 The next step, click the Data View and enter research data in accordance with the competence and performance variables. 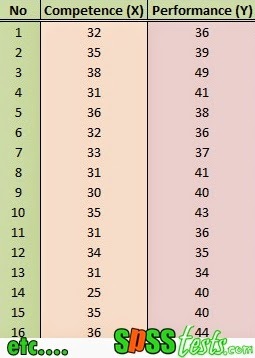 Based on the ANOVA Output Table, value sig. 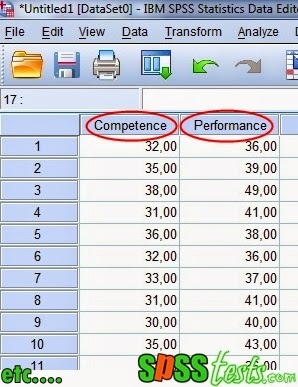 Deviation from Linearity of 0.423> 0.05, it can be concluded that there is a linear relationship between the variables of Competence with Employee Performance. 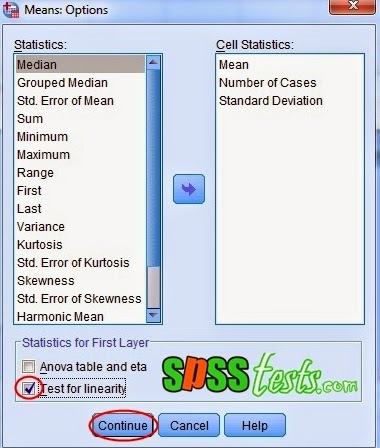 4 Responses to "Step By Step to Test Linearity Using SPSS"